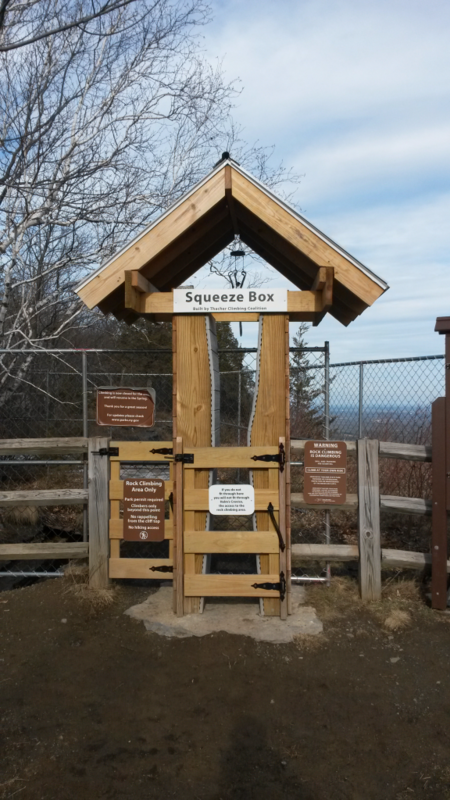 On a recent trip to John Boyd Thacher State Park outside Albany, NY Maiya and I stumbled upon a curious apparatus for physique-based access restriction — the Squeeze Box. I initially assumed it had been installed by park management or local authorities to help ensure the safety of park visitors in response to members’ of urban populations predilection for poor decision making in wilderness environments. I imagined a series of daring rescues of physically ill-conditioned individuals that prompted Search and Rescue to devise a clever way of preventing people from going places they simply should not go. I quickly realized its brilliance, and began to wonder why the technology is not more widely deployed. 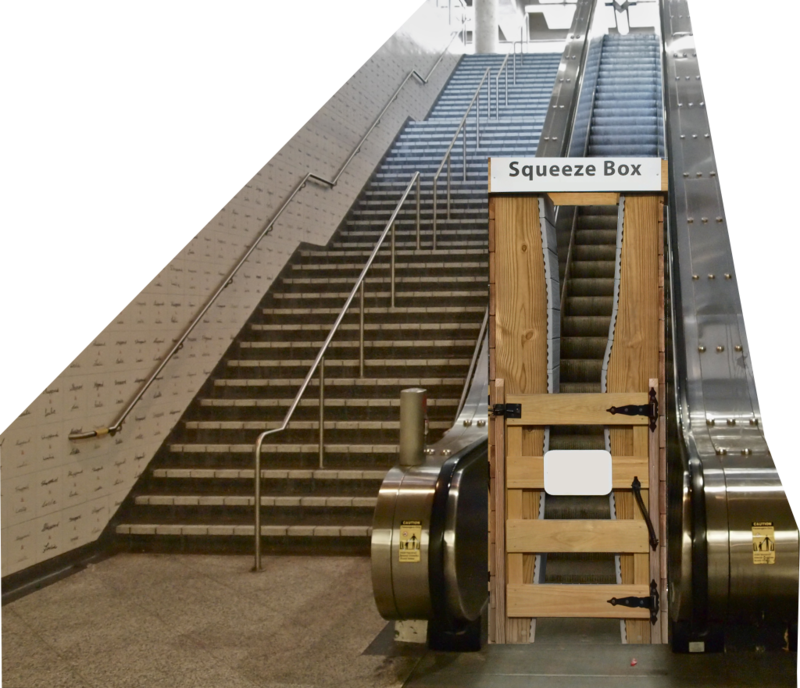 Even after learning that the Squeeze Box was installed by the Thacher Climbing Coalition, and that its profile replicated that of Helm’s Crevice, a narrow geological feature requiring passage to access climbing areas beyond, I maintain that it was put in place to ensure the safety of the public and to help inform visitors’ decision making as it pertains to their health and well-being. There are many other places that are as perilous to human health and safety as a cliff edge, but they are not as clearly recognized because the negative effects accumulate slowly over many years of prolonged exposure. Placed at the entry way to the TV room, in front of a recliner, at the doors of personal automobiles, at the thresholds of fast-food establishments, on both ends of soda and candy aisles in grocery stores nationwide, at elevator entrances, at any access to a means of assisted conveyance, really, may help us notice our ceasing ability to easily pass through Squeeze Boxes and subtly encourage us to less frequently partake of those detractors of health and longevity that lie beyond. Next PostNext National Bike to Work Day: Memorial Day for your legs.